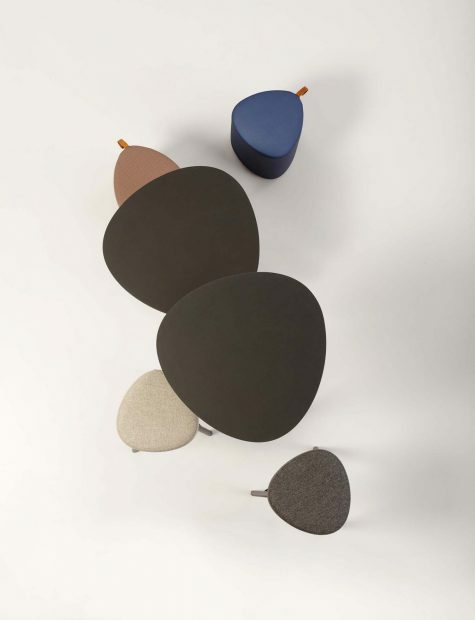 Cascando | New designs by Robert Bronwasser for Cascando. 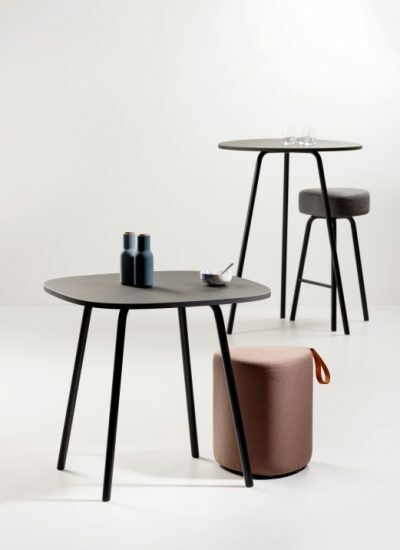 During the Orgatec, Cascando is launching the Plus coat stand and the Pully bar stool and bar table designed by the celebrated Dutch designer Robert Bronwasser. We interviewed him to learn more about the ideas behind these beautiful new products. “In offices, public spaces and at home you always need a coat rack. Often the cloth and quantity of coats or jackets you like to store differ while space is limited. I wanted to design an unpretentious coat rack that minimizes the use of space, but I also wanted to make sure the rack was suited for storing many different coats. Plus offers both. It is a coat stand that allows you to use both hooks and hangers. With a soft square silhouette and friendly lining that together create a peaceful presence. Design-wise, Plus is simple and minimalistic. The ground area is relatively small. A horizontal carrier at eye height is the fundament for attaching hooks and hangers. The plus hangers are just as minimalistic and functional as the coat rack itself. With an extra loop for shawls. What does the Plus stand for? 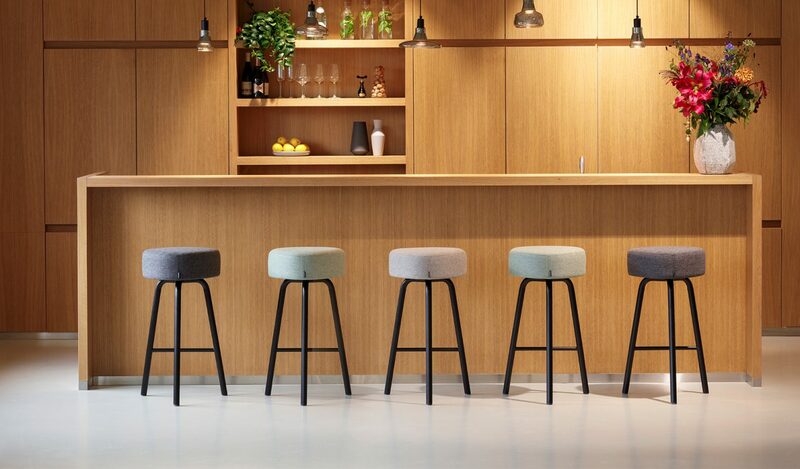 The new Pully barstool and table designs by Robert Bronwasser originate from the idea that organisations increasingly seek to arrange informal meeting areas for short-term consultations (bilateral discussions, sparring). “The story behind Pully? With Pully I want to design furniture for short consultations, whether you like to sit or stand. After the successful introduction of the Pully pouf, the design of a Pully barstool to me felt like a logical continuation. Could you describe the features in your new Pully designs? “Sure. 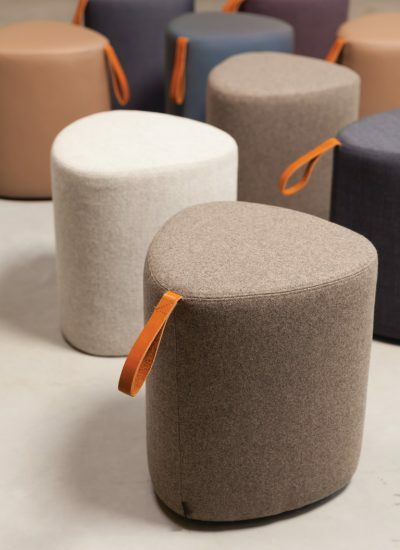 Firstly, I think the organic and rounded forms of Pully bar stools and tables are very suitable for use in free space. The chosen form offers you flexibility in use while allowing you to change a set up in minutes. 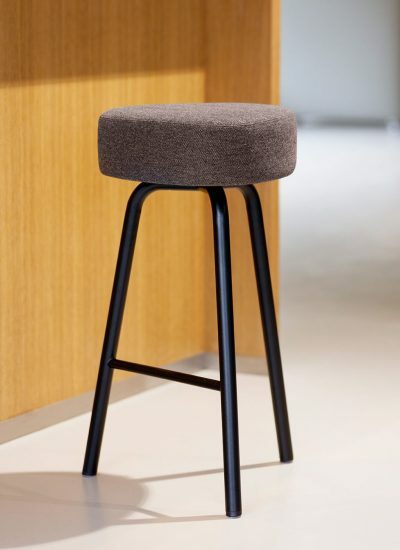 The Pully bar stool has a comfortable, upholstered seat while the tables are equipped with a fine linoleum film. That tactile top layer offers a pleasant user experience. 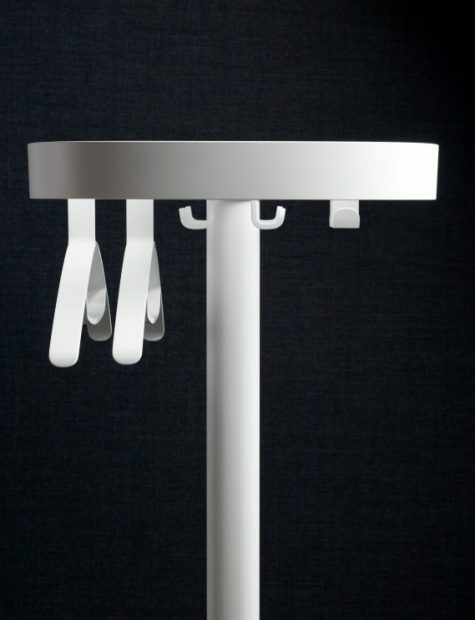 Pully tables are designed to host and encourage friendly meetings, either seated or standi..